Looking for the perfect bench for your foyer? Love Windsor style's country flavor? 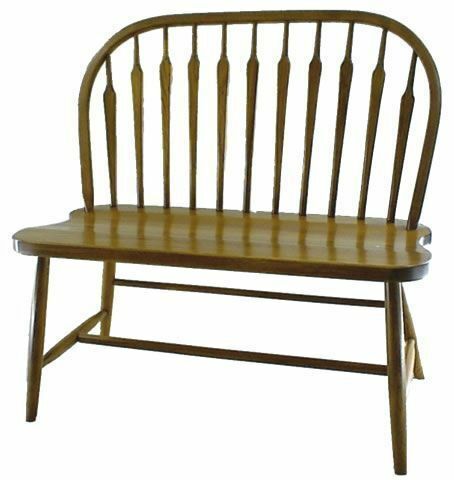 The Arrow Bow Windsor Bench is a Windsor style favorite, with a steam bent bow top and graceful paddle shaped spindlework. Available in three sizes to best fit your space. We offer a wide variety of Windsor furniture and would love to help you design your new bench. Email or call an Amish Furniture Specialist today for help with custom options. Thank you for shopping with us.